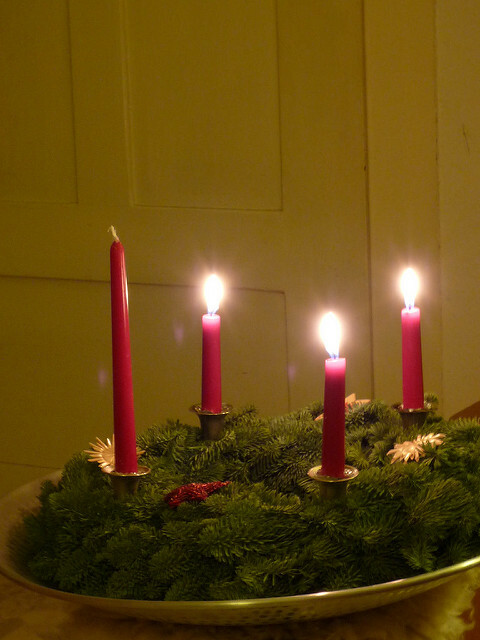 As we move into the third week of Advent, it’s time for another set of Advent Actions. If you missed week one or week two, it’s not too late to give them a try! Here are some suggestions for ways to deepen your love of God and neighbor. Ask a neighbor or a friend: What does “good news” mean to you? In their answer, do you hear connections with what Jesus says in this week’s Gospel, “the blind receive their sight, the lame walk, the lepers are cleansed, the deaf hear, the dead are raised, and the poor have good news brought to them”? What does ‘good news’ mean in your community? Do something generous for a person who devotes her or his life to serving others. For non-profits and helping professions, the end of the year brings great challenges, with increased needs and, often, budgetary pressure. Give a gift or offer to help. Make a donation. Delight someone. Gather friends or family around a meal table. Talk about today’s headlines. Who is suffering and afraid in the stories? Who is strong and mighty in the stories? Why? Where do you find God in our society and in your conversation? Pray together for the needs of the world. Remember to share your experience with friends, either in person or online. Please consider posting these stories here in the comments or on Forward Movement’s Facebook or Twitter feeds.